Security in the digital age is more important than ever, especially since our mobile devices store valuable information: like bank account and credit card info. MYPINPAD has taken upon itself to ensure security in financial and non-financial transactions through its proprietary touchscreen technology. This payment and authentication software solution enables bank-grade, multi-factor authentication. London TechWatch interviewed CEO Phil King to learn more about how MYPINPAD is changing the future of transactions. This round was a £15M (USD$20M) Series B investment round, facilitated by the Company’s long-time advisor Asia Principal Capital. The investors were existing shareholders. MYPINPAD is a global leader in payment and authentication software solutions. Our proprietary touchscreen technology secures the input of sensitive information into smart-devices creating a trusted and hardened environment that protects consumer data. 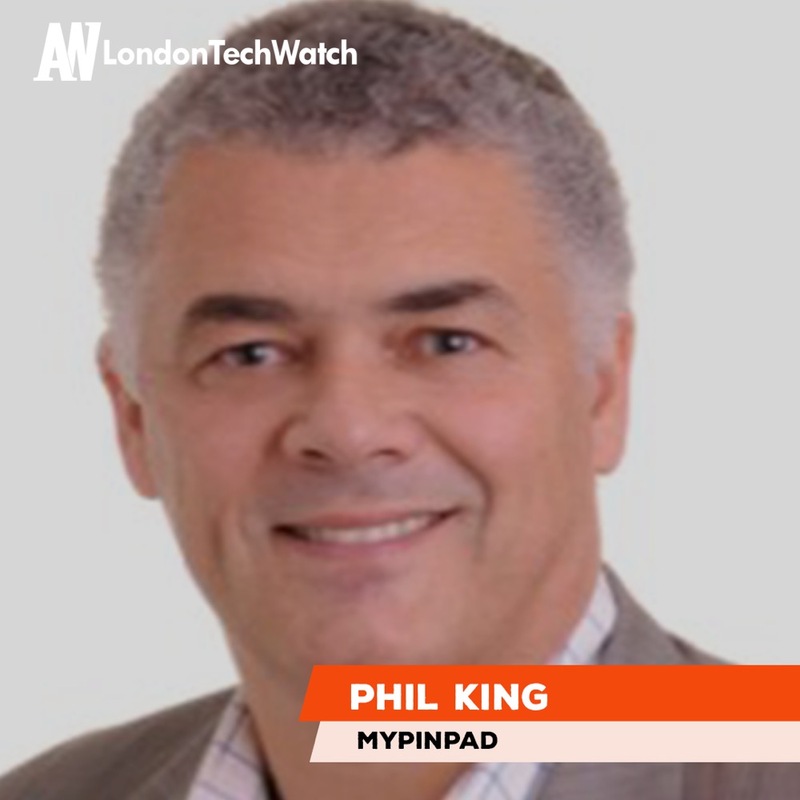 MYPINPAD builds innovative, scalable solutions that remove complexity from card payment acceptance and consumer authentication. 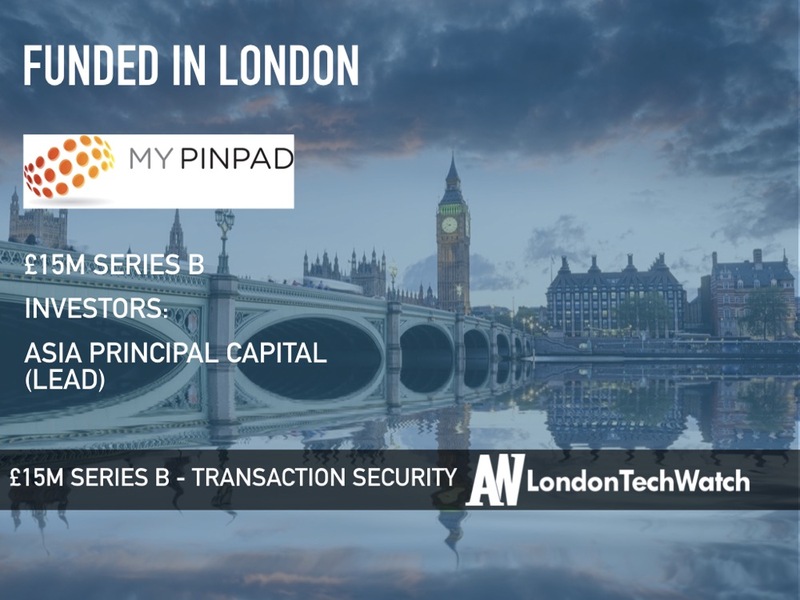 MYPINPAD delivers PIN on Mobile (PoM) technologies that enable bank-grade, multi-factor authentication through the use of card PIN into unsecured touchscreen devices such as smartphones and tablets for financial transactions. MYPINPAD aims to become the world’s first certified PCI SSC Software-Based-PIN on COTS (SPoC) vendor. SPoC is set to transform and revolutionise in-store payments as we know it and MYPINPAD is at the forefront of this technology. MYPINPAD’s innovative SPoC products represent a major step forward for the payments industry in achieving Card Scheme ambitions to increase the number of payment acceptance points globally. What inspired the start of MYPINPAD? 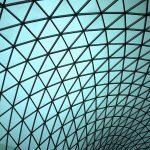 For many years our founder Justin Pike believed that end-user authentication would become the ‘glue’ in financial and non-financial transactions. 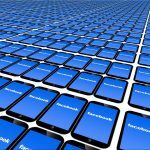 It seemed obvious to him even back in the mid-2000s that this would likely be centered on mobile devices, which were becoming more intelligent and ubiquitous. In the payments world, this meant that they had the potential to replace, over time, the single purpose transactions terminals (chip and PIN machines). With this in mind, Justin established MYPINPAD in 2012 and initial funding was provided. I joined shortly thereafter. From that point on we have believed that software, and not hardware, is the future battleground. Leveraging the PIN on COTS technology referred to above, earlier this year MYPINPAD introduced its revolutionary technology, Open mPOS, a complete PIN on COTS mPOS platform that has been built for the needs of today’s Merchants and designed to remove complexities and cost of PCI SPoC certification for PSPs and Acquirers. Open mPOS is a solution that is ideal for PSPs and Acquirers with an existing payment or mPOS platform and uniquely enables the deployment of PIN on Mobile technologies. MYPINPAD has ring-fenced components within the scope of PCI SSC Software-Base PIN Entry on COTS (SPoC), ensuring that only MYPINPAD needs to be certified on an ongoing basis. This removes the substantial complexity and cost of ongoing compliance for PSPs, Merchants and Acquirers and is designed to promote rapid adoption. Through simple integration APIs, coupled with a MYPINPAD enabled Secure Card Reader, Open mPOS can be quickly integrated into a Merchant’s existing payment applications and will be available through MYPINPAD and our distribution partners. Open mPOS utilises MYPINPAD’s innovative payments platform to facilitate the entire payment process, significantly cutting the cost and time of bringing a certified SPoC solution to market. By eliminating the need for a hardware-based PIN pad, MYPINPAD enables merchants to utilise smaller, lower-cost card reading devices. In doing so, the number of payment acceptance points can be increased at a significantly reduced device cost. What market is MYPINPAD targeting and how big is it? Our target market is global and any Merchant who today wants to reduce his costs or who does not accept card payments today for reasons of cost or concern over ongoing complexity of compliance. It is a vast market, to be reached through PSPs and Acquirers and some direct to Merchant sales. Over the next 5 years studies have shown that the existing acceptance market is expected to expand by up to 6 times. The only way this can be done is through the ubiquity of the smartphone, beginning with PIN on Mobile. The business model for Open mPOS is a fee per device per month. The funding process was challenging, when is it not? However, once we had settled on going back to our existing investors and not to seek new investors the process became simpler, faster and actually closed very quickly. Raising capital and certainly meaningful amounts of capital is always a challenge, particularly if you don’t have a recognised brand or funding track record in the investment community. This round was no different. As we began by approaching new investors the biggest challenge was assisting some to understand the complexity in payments and the ecosystem so they could relate to the simplicity of our offering. Then, despite all saying we would get this funded, we had to try to navigate a path through those who said we were too small or too early or asking for too much or those who were clearly interested but were not going to move fast enough for our needs. They were familiar with our history and had backed Management before. Once we had gone back to them and explained in more detail than ever before the components of an expanded vision and the size of the market opportunity, with a plan as to how to get there, the remainder of due diligence was straightforward because of the existing relationship. The support of our advisory company was critical throughout, beginning with pitch deck and message refinement all the way through to term sheet negotiation to completion. As a leader in this field, our aim is to become the first PCI certified SPoC vendor in the market. We plan to continue to expand our already global pipeline and to build supply chain capacity through expanded distribution channels and partnerships. We also want to further enhance the solutions. 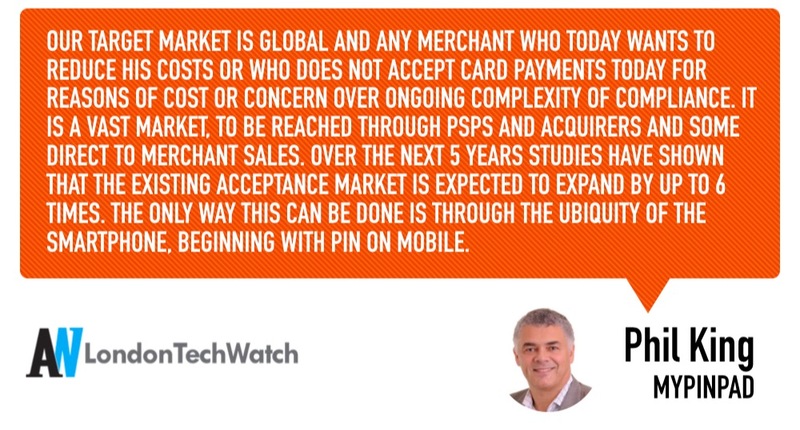 PoM is a significant development and is poised to radically transform global card payment acceptance. We anticipate PoM will become the most widespread form of face-to-face payment authentication globally. With the introduction of PoM, accepting card payments has never been easier or more cost effective for merchants. We believe that this is one of the biggest evolutionary steps for the payments industry in recent years and that the introduction of PCI’s Software-Based PIN Entry (SPoC) Standard will make card payments accessible to Merchants of all sizes. PoM is just the start. We will continue to position ourselves to serve this market. If they are looking for capital, seed or follow-on, focus on the investment message you want to deliver to investors and refine it and refine it until it has been distilled down to the very core of your vision, offering, and capability. Ensure you allocate enough time to the capital raising process and start well before your existing cash is exhausted; it is time-consuming and very distracting for Management. Establish a Data Room before starting the process and maintain it on an ongoing basis. Even though I live here I still love the view from the top of the London Eye. Our offices in Canary Wharf (Level39) have a pretty amazing view across London also! Previous As Workplace Norms Continue to Evolve, Can Sales Shed the Bro-Culture Label?